Our final menswear roundup of the week serves up three savvy styles. Javier Bardem: The actor joined co-star Jennifer Lawrence for the ‘mother!’ New York premiere looking very dapper in his Gucci green Heritage suit, proving that simple and classic is often best. Future: The rapper donned a full Dior Homme look which was smart while oozing contemporary flair. Methinks the turtleneck only served to show off the bling. 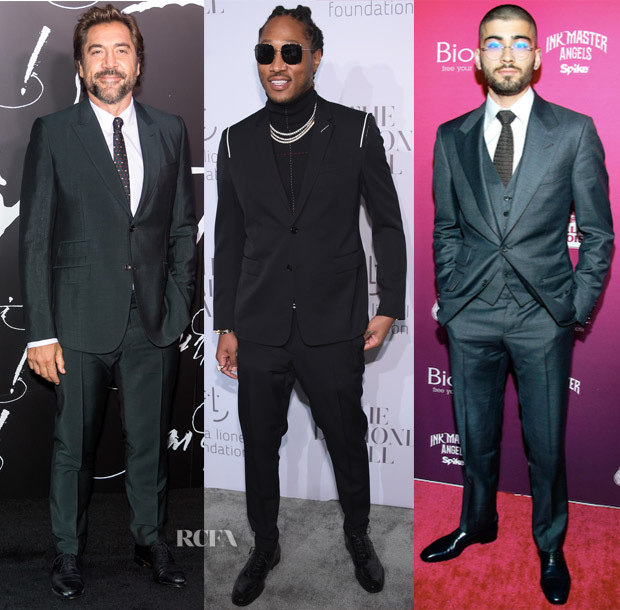 Zayn Malik: The singer usually gives us a contemporary or fashion-forward look, but for the US Weekly Most Stylish New Yorkers event he demonstrated his love for a time-honored, classic Tom Ford three-piece suit.